Upgrade your expectations at beautiful Triple Creek! Greenville's newest 100% Financing Approved Community. Nestled in a serene landscape, but so close to all of the amenities that you love! Triple Creek is just minutes from I-85, Woodruff Rd, Augusta Rd, Downtown Greenville and Major Employers like GHS, Michelin and BMW! Want a money-saving, energy efficient BRAND NEW HOUSE with WARRANTIES GALORE FROM THE LARGEST BUILDER IN THE USA??? 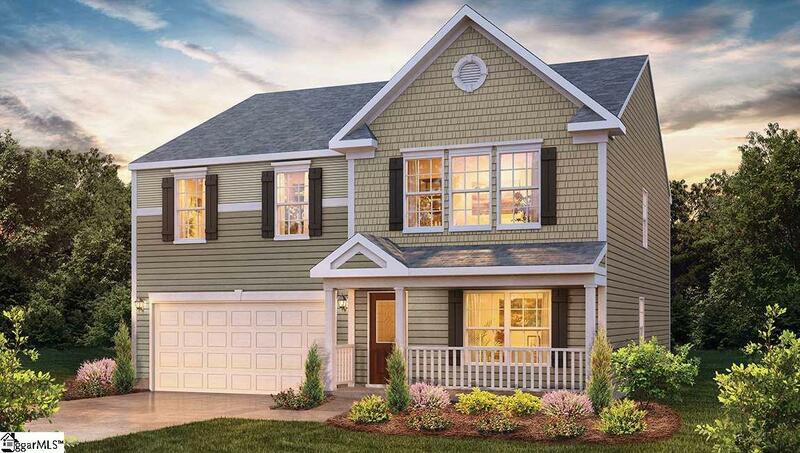 The homes in Triple Creek are built to meet and exceed building codes and have included features and upgrades galore! Walk through the elegant front door of the Biltmore into a comfy foyer with a study/office to your left, then it opens up to the spacious dining room. This home has a wonderful open floor plan where you can prepare food in the kitchen while entertaining your guests in the adjoining living/family room. This is a 4 bedroom, 2.5 bath home. The Master Bedroom is huge with a large walk-in closet! This home is an incredible value with all the benefits of new construction and a 10 yr. Home Warranty!